A brilliant, beautiful smile can brighten your appearance and improve your self-confidence. 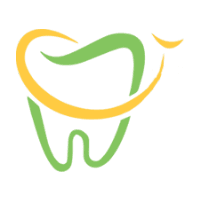 At PDADental in the Financial District, Lower Manhattan, New York, the team of expert cosmetic dentists can help you realize your very best smile with cosmetic treatments. Whether you need a minor adjustment or significant restoration and reconstruction, call the office or schedule a consultation online today to learn more. These services replace or support damaged or decaying teeth. Plus, they can enhance teeth that are shaped irregularly, discolored, or cracked and chipped. How Does Cosmetic Dentistry Improve My Smile? The team at PDADental is committed to creating a beautiful smile. You could benefit from implants that look completely natural to offer a stable replacement for a missing tooth. Or, you can choose a crown to cover one irregular tooth. Veneers are sometimes the most effective step in a smile transformation as they can whiten teeth that don’t respond to bleaching and cover irregular and slightly misaligned teeth. Veneers are a thin layer of porcelain permanently affixed to your existing teeth. Each veneer is custom fitted to the individual tooth in your mouth and then bonded to improve your smile and create a more regular bite. Veneers match your natural tooth color so your smile looks natural. Veneers are stain resistant, well-tolerated by your gums, and look great without invasive dental work. Implants are surgically implanted metal posts that form a foundation for a crown or prosthetic tooth. If you have a missing tooth or teeth, implants offer the most natural and functional replacement option. Implants look and feel just like your natural teeth. They close gaps in your teeth and prevent surrounding teeth from shifting, which preserves a stunning smile. What if I’m Not Sure What Cosmetic Procedures are Best for My Smile? Come to PDADental for a one-on-one consultation. Discuss your aesthetic goals with the doctors and they can help you understand your cosmetic dentistry options. They’ll perform an oral exam to evaluate your teeth color, alignment, and size. They’ll also take into account your face shape and gum tissue size and shape. For the best in cosmetic dentistry, call the office or schedule an appointment online today.